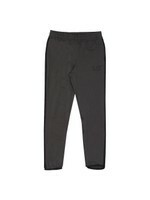 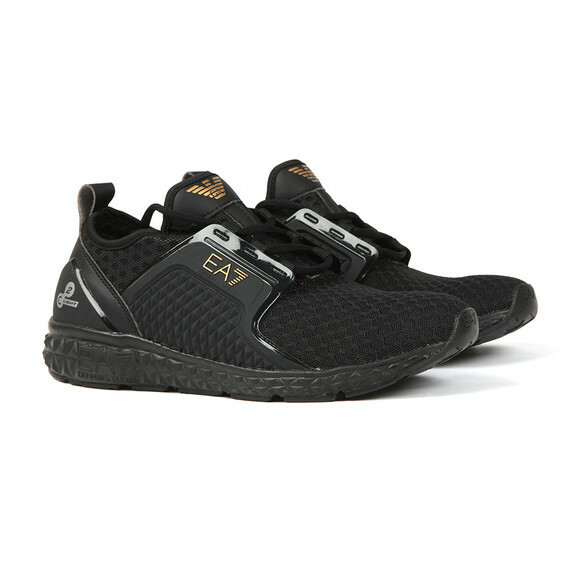 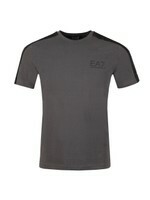 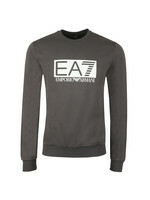 EA7 Emporio Armani Gold Logo Trainer in Black. 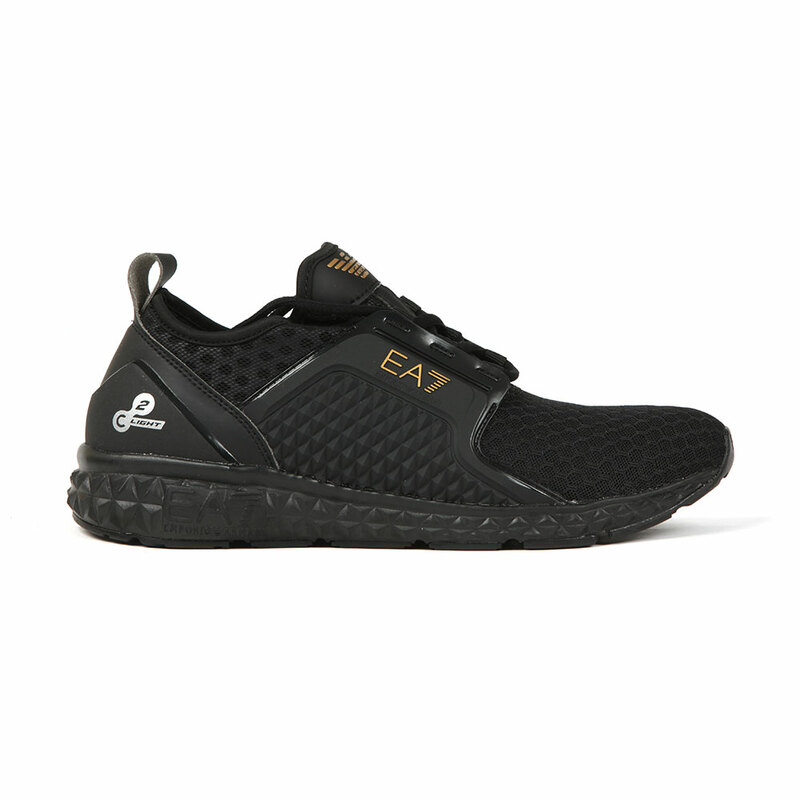 A lightweight trainer designed from a mixture of plastic and textile. 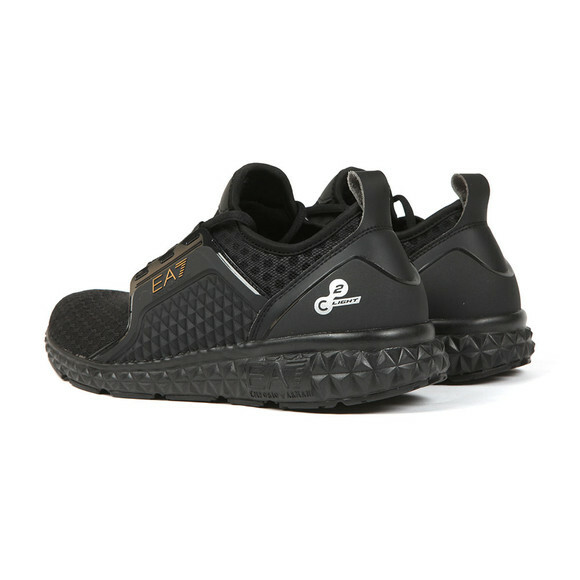 The midfoot has a protective cage that has been given a textured design that flows on the sides of the sole. 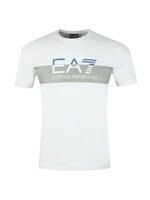 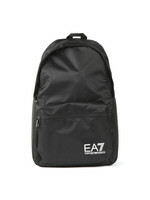 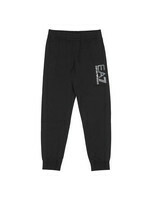 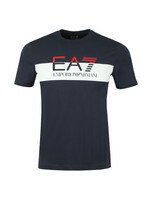 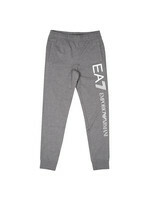 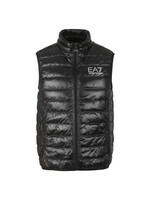 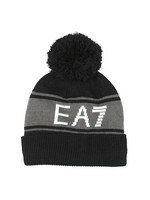 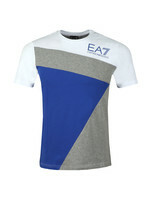 Golden EA7 branding is added on the outer side and tongue.